A Saint John man says he's still shaken by the mysterious object he saw flying over the city and near the Irving Oil Ltd. refinery last week. John Edwards says the bright object flew over the city and swooshed down near the Irving Oil refinery on the east side.. (CBC)"It was terrifying. I was hiding behind the curtain," said Edwards, who captured the unidentified flying object on video using his iPhone. "I almost felt like whatever it was knew I was watching with my camera," he said. "It was really a weird creepy feeling. but it circled around at that point and came all the way back and went across the street basically and watched us through the window." 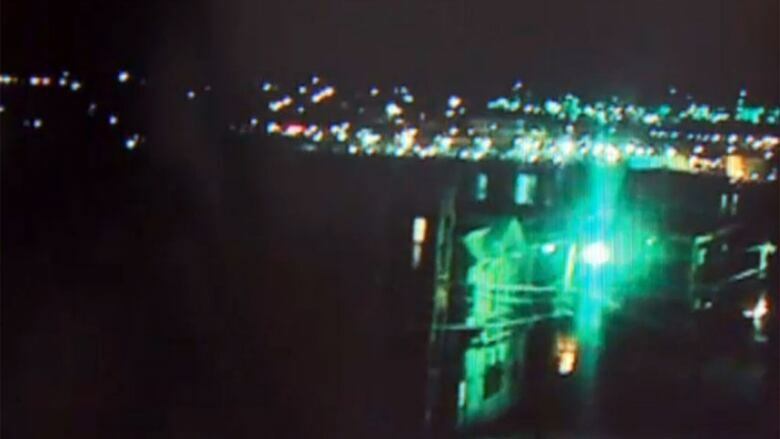 CBC News put in calls to the City of Saint John, the Saint John Airport and the Saint John Police Force, asking if anyone knew what the UFO was or who was responsible, but as of Thursday afternoon, had not gotten any answers. 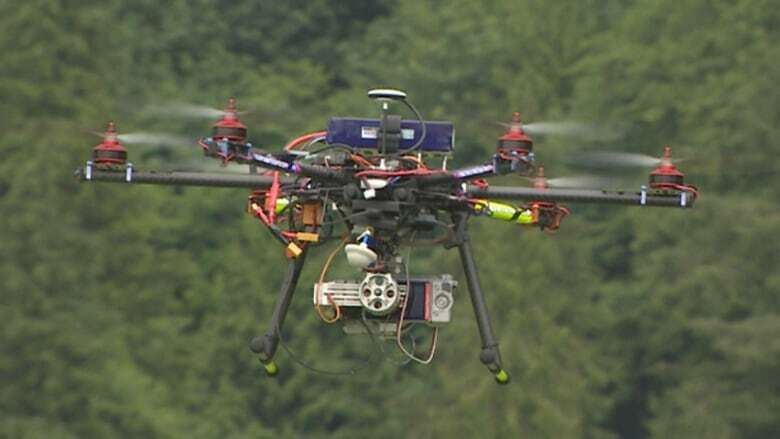 It may have just been a drone, which are increasing in popularity as they become more affordable, ranging from a few hundred dollars for hobbyists, up to $200,000 for commercial grade units. Transport Canada introduced new guidelines for drones the day after Edwards's experience. Transport Canada announced new guidelines earlier this month for drones, which are becoming increasingly popular as they come down in price. (CBC)"When you fly an unmanned aircraft, and you put people's safety at risk, it is against the law," Transport Minister Lisa Raitt said, during the launch of a public campaign. Hobbyists are advised not to fly at night, to steer clear of airports and other restricted airspace, and to avoid populated areas. Those flying drones for commercial use or using devices over 35 kilograms must apply for a special permit from the federal regulator. Transport Canada has seen a spike in those applications, issuing 945 certificates last year — a 500 per cent jump from 2011. In New Brunswick, McCain Foods is using them to monitor potato fields, as part of a multi-million dollar partnership involving Resson Aerospace in Fredericton. "That can give the operator information on crop health, that will help them optimize their production," said Resson Aerospace CEO Peter Goggin.